Want to know how many calories burned while walking around? You've come to the right place. Simply plug your info into the calculator below. It's dead simple, which is why I use it. This applies to speeds of 1.9 to 3.7 miles per hour. This would be around walking speed 'till when you're just starting to jog. This applies to treadmill and outdoor running speeds faster than walking (above). This would be jogging on up to sprinting as hard as you can away from angry guard dogs on small tropical islands (don't ask). The Incline Fraction Grade is for if you're running on a treadmill. It's the amount of incline per 100 units of belt on the treadmill - which will show up on the screen when you're working on the treadmill. If you're still eating too much, you will weigh the same or gain weight. So in the end, what you're eating is really going to make or break your weight loss attempts. And since you want to find out about how many calories you burned, I assume you're focused on losing weight. Also, walking around doesn't burn that many calories. From the calculator above you can see how many calories you burned while walking, which isn't a whole lot. Maybe 100, 200, or 400, tops? Walking and exercise are good, I'm not saying they aren’t! 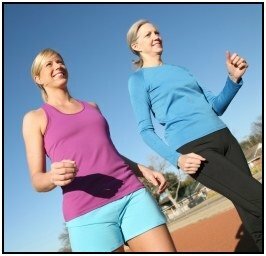 Walking is a great beginning exercise if you're out of shape, a great lifelong exercise, and one that you can do virtually anywhere and easily add to your activities during the course of the day. But I'd like to put it in perspective. A half-hour of walking can easily be canceled out with a Tall Starbucks Hot Chocolate, a cupcake, or any other 'reward' for exercise. If you're serious about losing weight, then calculate your base metabolic rate. Once you know that, you can start eating fewer calories than that to lose weight. Exercise is great for burning some extra calories. And it's especially good for maintaining lean muscle while you're losing fat. • Click here to leave 'Simple Calories Burned While Walking Calculator' & go back to the Home-page!